This photo provided by Mizan News Agency, shows Iranian rescue personnel and security work at the site of a Boeing 707 cargo plane crash, at Fath Airport about 40 kilometers (25 miles) west of Tehran, Iran, Monday, Jan. 14, 2019. An Iranian emergency management official has told state TV that 16 people were on board a Boeing 707 cargo plane that crashed west of Tehran and that there is only one known survivor. An Iranian Boeing 707 cargo plane coming from Kyrgyzstan crashed on Monday while trying to land west of Iran's capital, state media reported, with an emergency official saying only one person of the 16 on board was known to have survived. Fire immediately engulfed the aircraft after it skidded off a runway and crashed into a wall separating the Fath Airport from a residential neighborhood. Images carried by Iran's state-run media showed the burned-out tail of the plane sticking out, surrounded by charred homes. The plane crashed at Fath Airport, which belongs to Iran's powerful paramilitary Revolutionary Guard, when it was meant to land at the nearby Payam International Airport, about 40 kilometers (25 miles) west of Tehran, the Iranian capital. 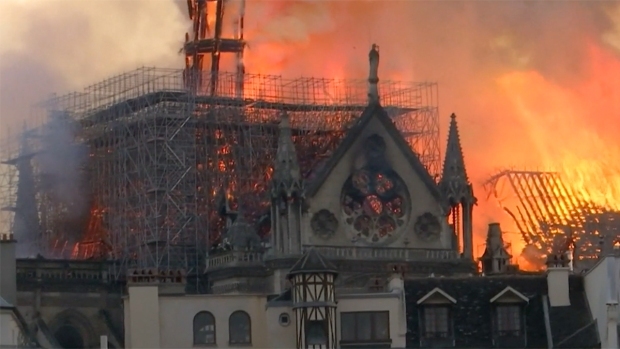 Authorities did not immediately offer a reason for the crew's decision to land there, though they said the crew had declared an emergency prior to land. Pirhossein Koulivand, the head of the country's emergency medical services, said of the 16 people on board the plane, only the flight engineer was known to have survived. 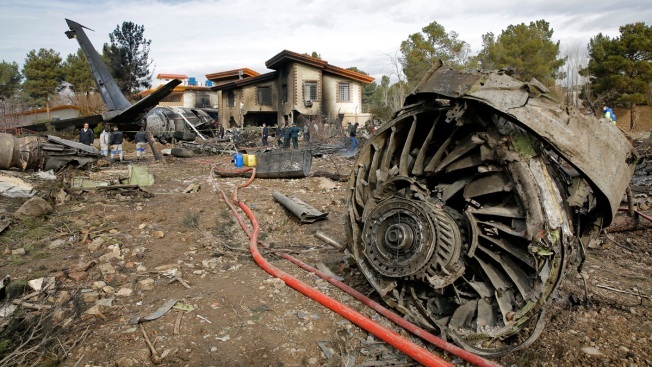 Iranian media reported seven bodies from the crash had already been recovered. The plane reportedly was carrying a cargo of meat from Bishkek, Kyrgyzstan's capital, to Iran. Iran's air force said in a statement that the fate of the crew, including their possible "martyrdom," is under investigation. It wasn't immediately clear who owns the plane, though Gen. Shahin Taghikhani, an army spokesman, told state TV that the plane and its crew were Iranian. Iranians often use the word "martyrdom" for those who die in war or national service, suggesting the aircraft may have belonged to the air force. The Iranian air force does operate Boeing 707s; it also has a civilian airline, SAHA.